By enabling Mackerel 2-step authentication for your Mackerel account, an authentication code obtained from your device, in addition to the username and password, will be required when signing-in. This not only strengthens the security of affiliated organizations, but also contributes to the protection of customer resources. If you want to configure authentication for an external account only, use the password obtained from the account configuration page. Go to the 2-step authentication activation page and follow the guide. Upon completing the configuration, the next time you sign-in to Mackerel, you will be prompted to enter the authentication code. 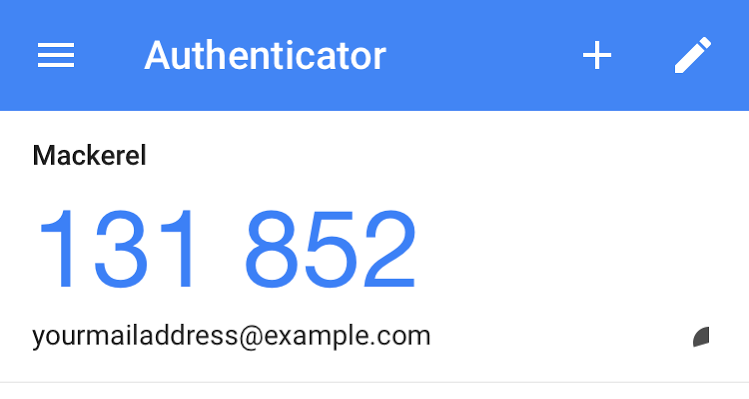 For example, if using Google Authenticator as an authentication application, the authentication code will be displayed like shown in the image below. Enter this code into the appropriate space. Please note that when you enable 2-step authentication, log-in sessions from other terminals won’t retire. Additionally, even if 2-step authentication is enabled, API access will not be affected. In the event that you are no longer able to use the device from which the authentication code was issued, you can sign-in with a 10-digit single-use recovery code in place of the authentication code. We recommend that you download the recovery code from the 2-step authentication configuration page, print it out, and keep it in a safe place. 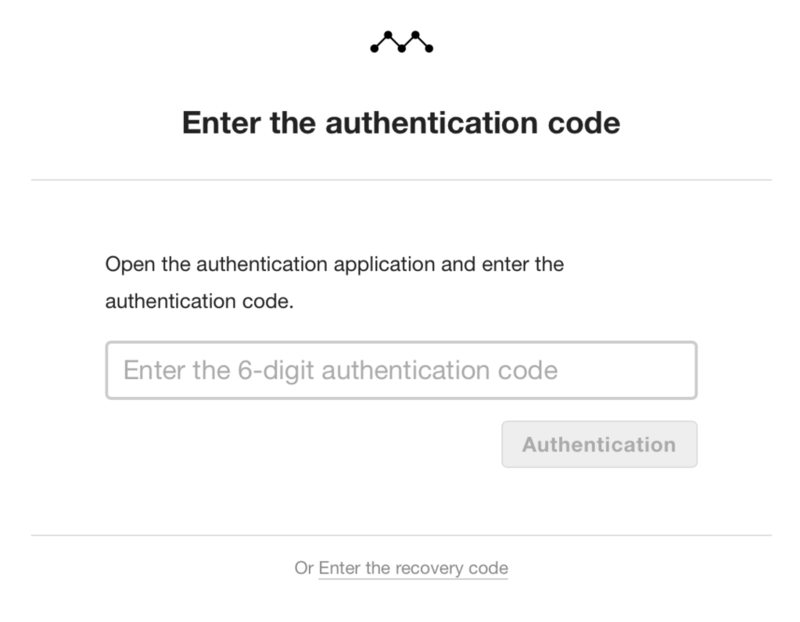 The recovery code can be re-issued from the 2-step authentication configuration page. After authenticating with your email address and password, click on “enter recovery code”. This will take you to the recovery code authentication page. Select a code that you haven’t used before from the list prepared and enter it into the appropriate space. We recommend printing out the list of recovery codes and checking-off the ones that you have already used as shown in the below image. It’s also possible to check the recovery code from 2-step authentication configuration page. If the number of remaining codes is low, they can be re-issued. 2-step authentication can be disabled from the 2-step authentication configuration page. By disabling the 2-step authentication, both the existing authentication application and the recovery code will be disabled. If you would like to enable 2-step authentication on a new/recently purchased device, follow the guide below. Prepare a separate terminal from the one currently signed-in to Mackerel. 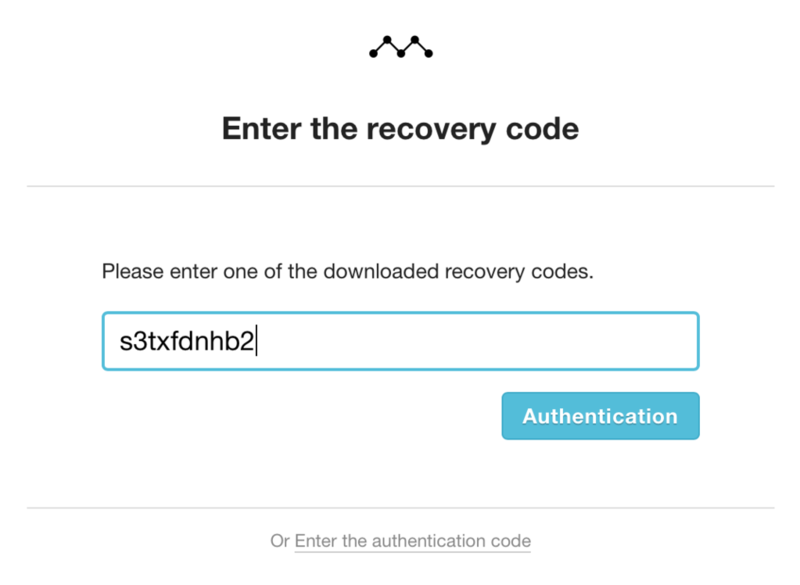 You can sign-in using a recovery code if prepared in advance. Go to the 2-step authentication configuration page from the terminal currently signed-in and click on the “reconfigure authentication application” button. Or go directly to the Enable 2-step authentication page and follow the guide to enable 2-step authentication for the new terminal. And lastly, delete the Mackerel account from the old device’s authentication application because the authentication code issued is now disabled.